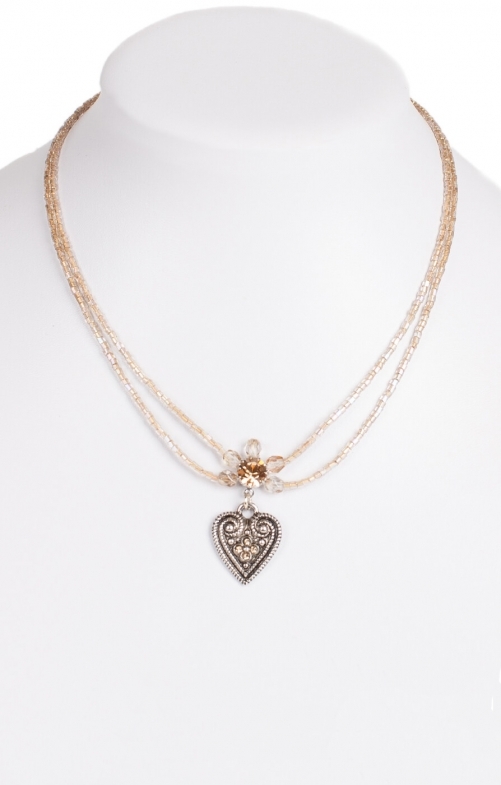 Dainty peach bead necklace with heart pendant. This two-row bead chain traditional necklace with translucent quartz column beads is a fashion accessory that makes a delightful impression. Pale peach crystals and dark marcasite stones decorate the ornate nickel-free silver pendant, which dangles from a pair of copper string. Where the rows meet, there’s a large crystal enclosed by faceted beads - a splendid finishing touch for a Trachten outfit with a twist.